Makoto is one of those dogs with ability to make even the most skeptical, non-dog person fall in love with him. He is patient and kind, and is known to gravitate toward those individuals in the crowd who are in need of a loving nudge or lick. His willingness to roll with it, has been proven during his adventures in achieving legs and titles in Conformation, Lure Coursing, Barn Hunt, Therapy, Trick Dog, and Dog Scouts. He earned both Championships completely owner handled and finished his UKC Championship with quite an eventful Best in Show win. 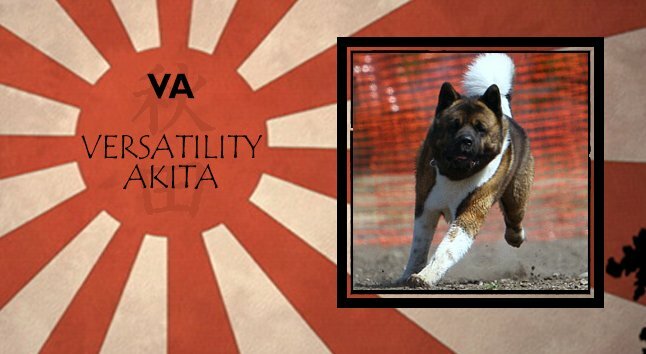 His amazing temperament has made him a perfect partner in Meet the Breed booths, and has afforded him the ability to pass the ATTS Temperament test as well as AKC's Canine Good Citizen, Urban Canine Good Citizen and Community Canine tests. Makoto continues his dog sport adventures by playing in Rally, Obedience, Agility, Carting and Nosework, and can often be found sprawled out in front of his favorite fan.